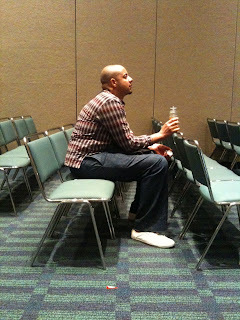 Author-Illustrator Chris Myers waits for our panel at the Institute. 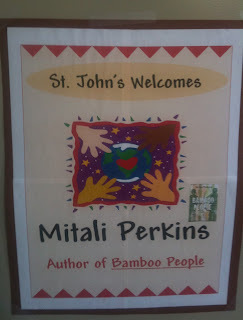 He also keynoted, as did author Jacqueline Woodson. 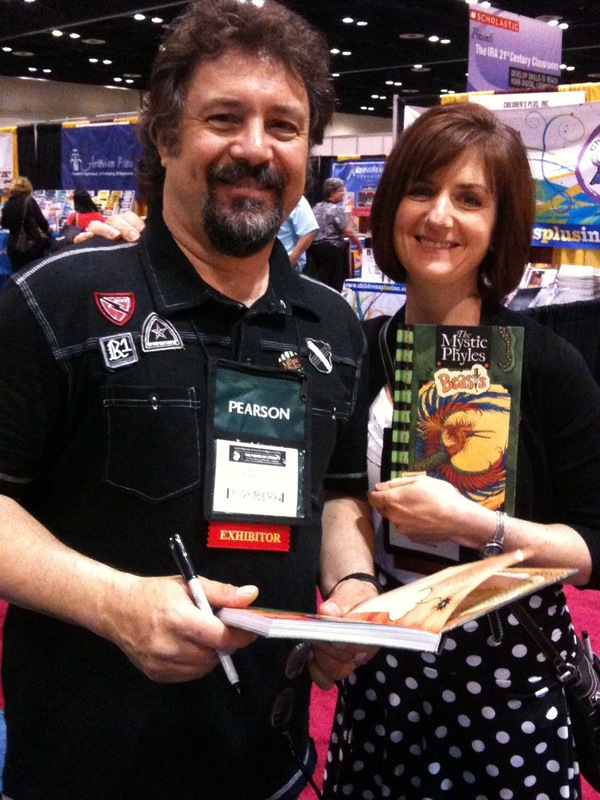 Illustrator Ralph Masiello and Author Stephanie Brockway (who happen to be married) show off book one in their new series for Charlesbridge, The Mystic Phyles: Beasts. No, this is not the line of people waiting for my books. Guess which author garners this kind of fan devotion and you won't be in the least bit wimpy. I was delighted to meet author Rukhsana Khan in person for the first time. 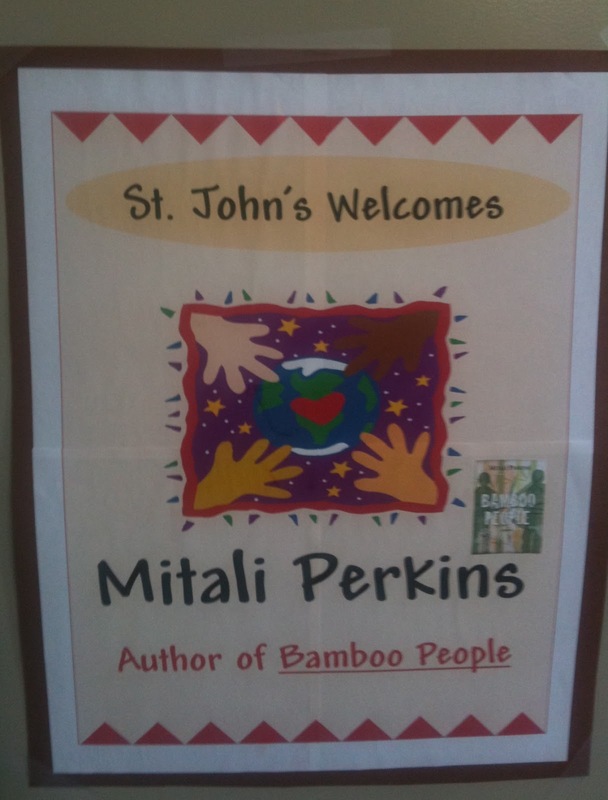 My time in Florida ended with a nice visit to St. John's School in Tampa.